Need to take a CPR Class? Free classes are available twice a month to those living in Tacoma, Fife and Fircrest. See you there! Narrative: At 9:09 am firefighters from stations 1, 2, 4, 7, 9, 12, 13, 16, and 17 responded to a reported structure fire. The first arriving company found flames and heavy smoke showing from the back of the approximately 3,000 square foot two-story duplex. Crews protected near-by exposures and battled the fire that raced up the interior walls (balloon type construction) into the attic space for over an hour before bringing it under control. No occupants were home at the time of the fire and the Red Cross was requested to provide relocation assistance to four of the six adults displaced from the incident. 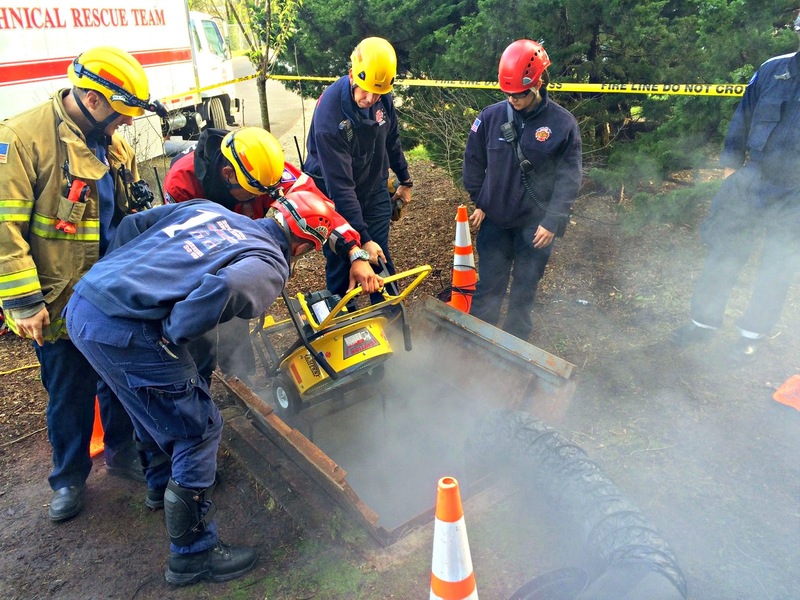 Over the last several shifts, TFD’s Technical Rescue Team has been conducting confined space rescue training. 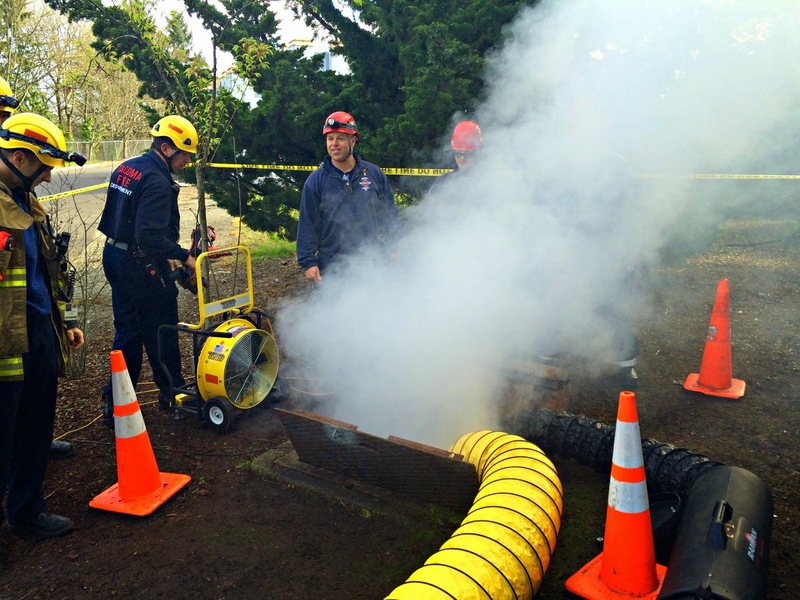 Training objectives for the 36 Operations and 24 Technician level Technical Rescue Team participants include initial on-scene operations, air monitoring, ventilation, communications, supplied air breathing apparatus (SABA), patient packaging, and rope systems for safely gaining access to, and removing a patient from a permit required confined space.